The humble bulb of garlic is for more than just flavouring food and scaring off vampires. Allium Sativum is one of the best known heart tonics, helping prevent heart disease, high cholesterol and high blood pressure. Garlic is reported to have many properties as a heart tonic, with past studies showing benefits in preventing heart disease, including high blood pressure, LDL cholesterol and atherosclerosis. 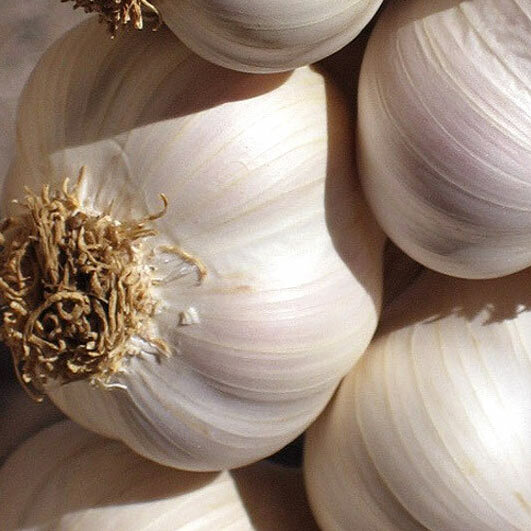 On top of these heart tonic properties, garlic is also antibacterial, antifungal, antiseptic and antiviral - having also traditionally been regarded as a way to combat the common cold. Garlic has one of the highest levels of vitamin-C in the plant world, as well as being a great source of less common essential vitamins like selenium. Because of its exceptional nutritional profile and overall health enhancing properties our maximum strength, standardised Active Health: Garlic 20:1 Extract is a perfect daily supplement, and one 500mg vegecap is the equivalent of 10g of raw garlic. Take one to two pills per day, with or without food, with water.